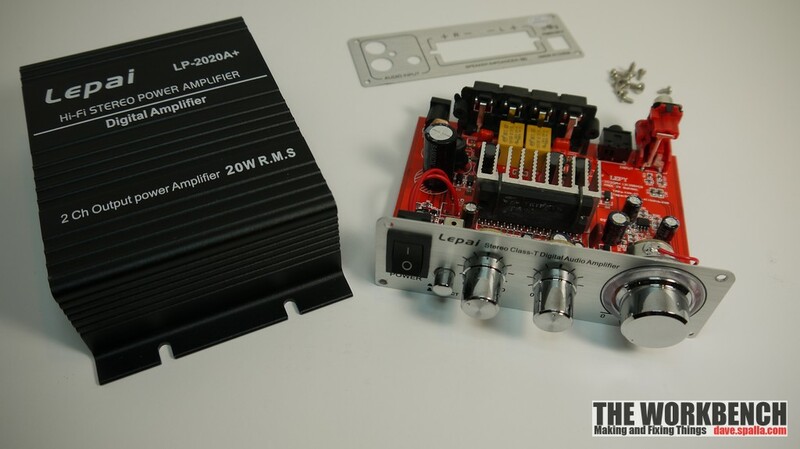 Last winter’s project was to be a small, somewhat powerful amplifier for use in the garage. It didn’t go so well, and ultimately it ended in defeat. 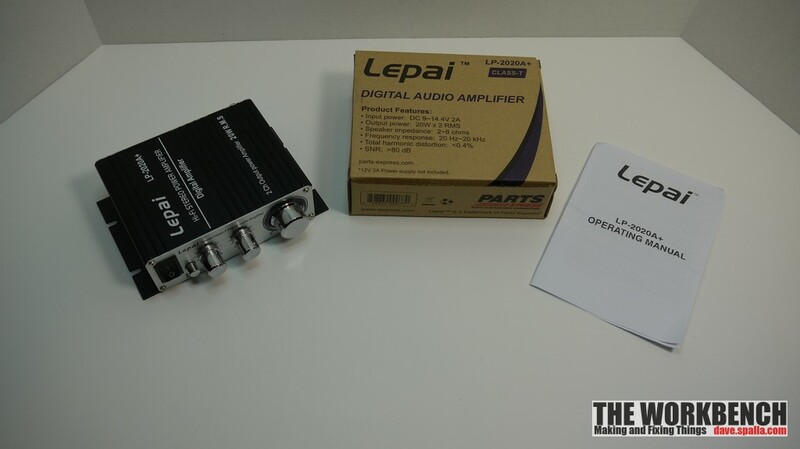 I received a flier from Parts Expess, inside was the Lepai amp. At $17, it was too good to pass up… it would have been nice to have found this prior to the previous amp building efforts! It has the usual controls; tone, balance and volume. The volume knob has blue LED’s for back lighting. There’s also a tone bypass switch. 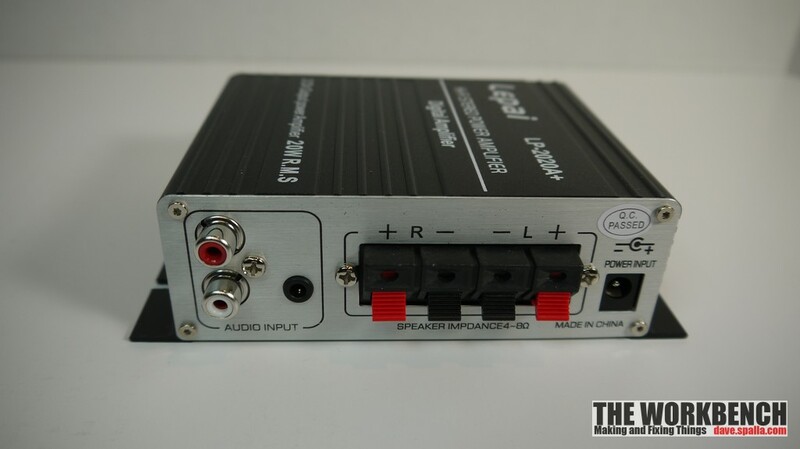 The rear has two input options, 3.5mm and RCA. Output is the typical spring clips, and lastly there is a power connector for 12VDC input. This model is without a power supply. 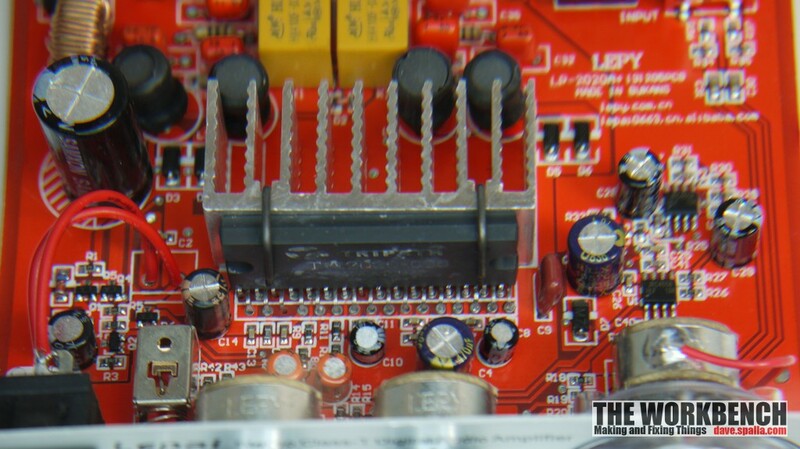 The PCB and components appear to be high quality, the board itself is actually nicely laid out with a mix of through-hole and surface-mount components. Surprisingly well constructed, especially for this price point. 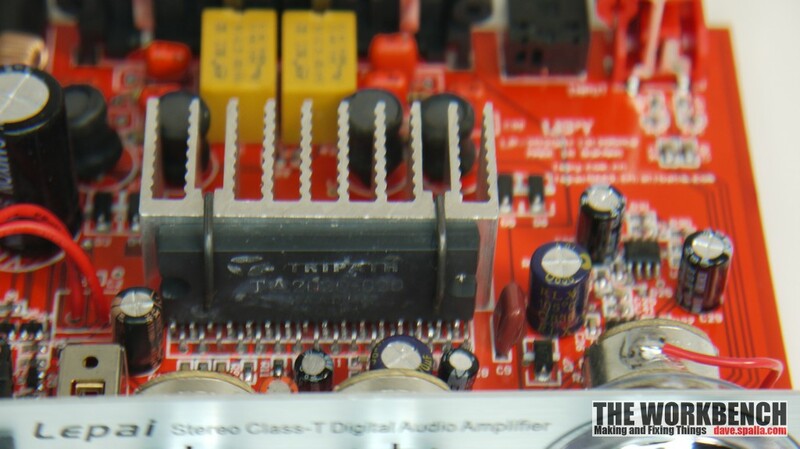 The amp utilizes the Tripath Technologies TA2020-020 20W stereo amplifier on a chip (datasheet). Sound quality is very acceptable, this is not a high end amp, so some hiss and distortion is to be expected. Sound output is through four 5×9 automotive speakers (removed from an old 2002 Explorer). The key to loudness, and bass response, is a good power supply; in this case, a RadioShack 13.8vdc, 3.0a supply is providing the juice. 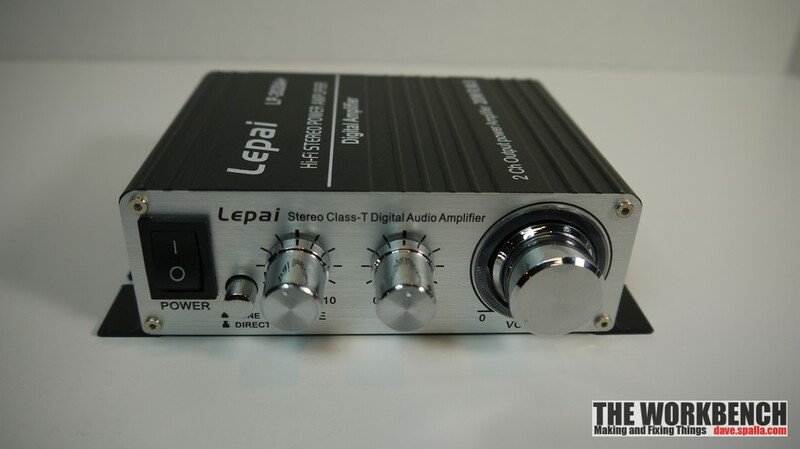 In this application, this amplifier is a perfect choice, it works and sounds great and the price make this an exceptional deal.